Welcome back, Bula are the greetings you receive as soon as you arrive at the reception door on Denarau Island Wyndham, which has become my second home. I never loved Fiji before as much as I do today. I have so much respect for the country and people of Fiji for their hard work, dedication and pride in their every day duties, be a porter, housemaid, cleaner, manager, marketing consultant or customer service at the reception. Their smile made my holiday even exciting each day. Born in Fiji I never understood the great culture they hold for which they proudly showcase. Their culture attracted me and my sister and brother in-law we decided we would be spending more time on this beautiful island each year as our holiday. 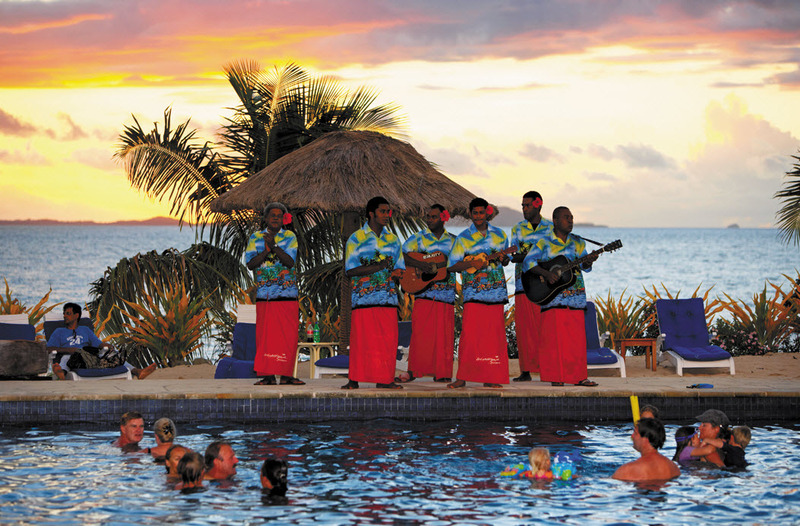 Each time I visited Fiji as an owner at Wyndham Denarau Island, I experienced something new and different. During my last holiday I was amazed by the Mamacita Restaurant and their food and service. Not only had the reception blown me away which was beyond my expectation. It was the restaurant’s Theme night dinner “Fijian Love” which I knew from my child hood. This gave me a new concept of its meaning and the great culture it holds. The entertainment group entertains the diners with their story telling dances and provide the opportunity to everyone to join them for concluding dance. It was an amazing experience for me. Leave alone the food, the entertainment I was overwhelmed by the desserts – banana and cassava pudding, coconut bread, pineapple pie just to name a few. If you haven’t tried these desserts, do not miss on your next holiday. My second dinner exploration was on Port Denarau – If someone is looking for variety, style and environment, you have to go and try one of the restaurants. The food was beyond my expectation, which made me a very proud owner of Wyndham. During my entire holiday I have observed the service delivered at Wyndham Denarau was beyond my expectation after visiting many countries. Bula Bus tour at night added more flavour to our holiday which gave us the whole different experience. For a moment I forgot where I was, like in a dream world of mine. I look for many adventures on the Island and other islands as well; I have visited Mana Island and Treasure Island which gives me more reason to visit other islands of Fiji.